Love the outdoors and enjoy the luxury of indoors? 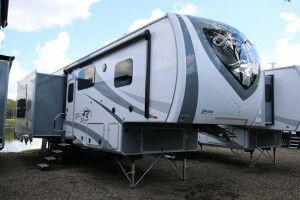 Getting the best of both worlds is one of the primary reasons to go for a camper, and a fifth wheel in particular. While some prefer the ultimate luxury they have to offer, others like them for the outdoor features they provide, which is extremely useful for tailgating. 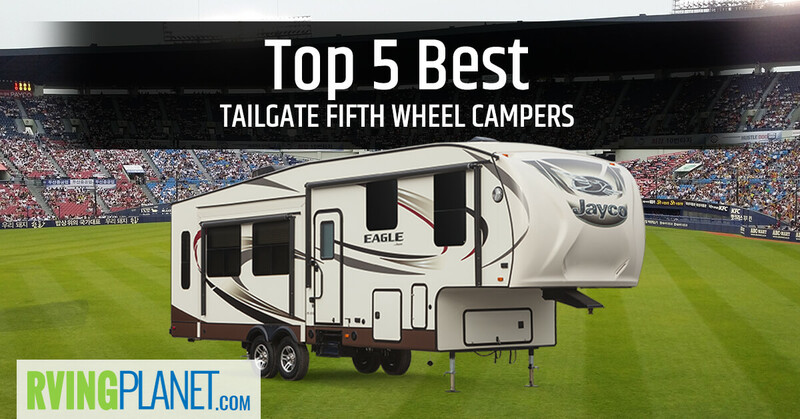 With that in mind, here are the top 5 best tailgate fifth wheel campers! 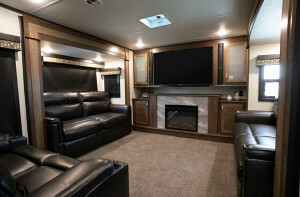 What puts an RV on the list: There is no one specific set of features defined for a ‘tailgate fifth wheel.’ We’ve selected our top picks based on the general outdoor features they offer, the number of floorplans that get you such features, and models which have a generally good standing amongst us, critics from other websites, and owners of the RV in question! Why we recommend the Jayco Eagle fifth wheel: While we’re primarily focusing on the outdoors here, the Eagle fifth wheel camper by Jayco is something you can also consider if you’re looking for spacious, feature-rich interior. 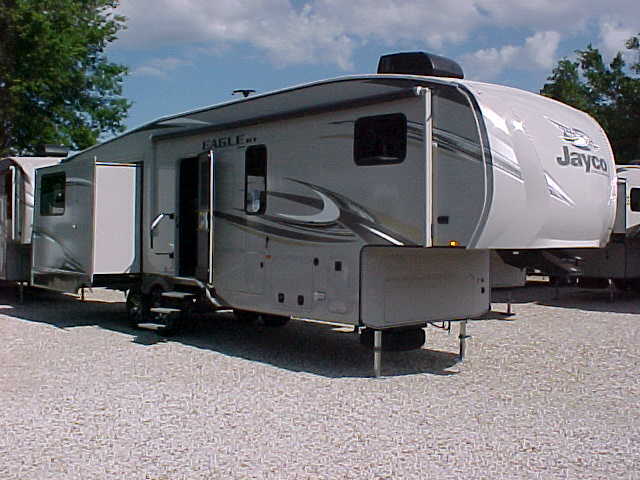 It covers a wide variety of lengths and sleeping ranges such as the Eagle 319MLOK that spans 36 feet and sleeps 4, all the way to the 42 foot long Eagle 355MBQS that houses up to 8 people. From the sturdy I-class I-beam frame on the outside to the central command center on the inside, the Eagle has a lot to boast of. 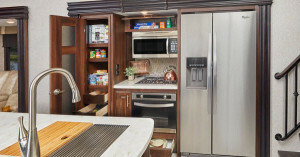 For people who want more than the standard set of over 70 RV features, there’s an equally interesting list of options that ranges from a huge 21 foot refrigerator to compliance with Canadian RV standards. 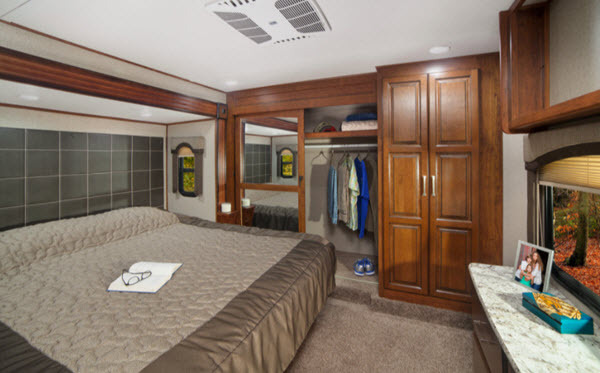 View All Highland Open Range Fifth Wheel Floorplans! 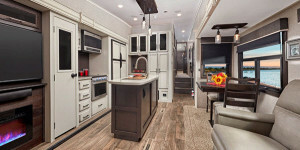 Why we recommend Highland Ridge Open Range fifth wheel: The durable Highland Ridge Open Range 5er was featured in our previous post (Top 5 Best Bunkhouse Fifth Wheel Campers For Large Families) for its great space-to-sleep-capacities ratio. 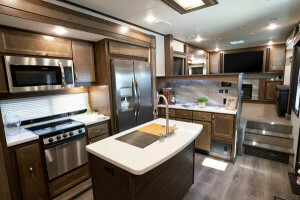 It’s also great at keeping the outdoor entertainment going, as is evident with floorplans such as the Open Range OF371MBH and Open Range OF427BHS that feature an outdoor kitchen among other useful features one would look for in tailgate fifth wheel campers. View All Jayco North Point Fifth Wheel Floorplans! 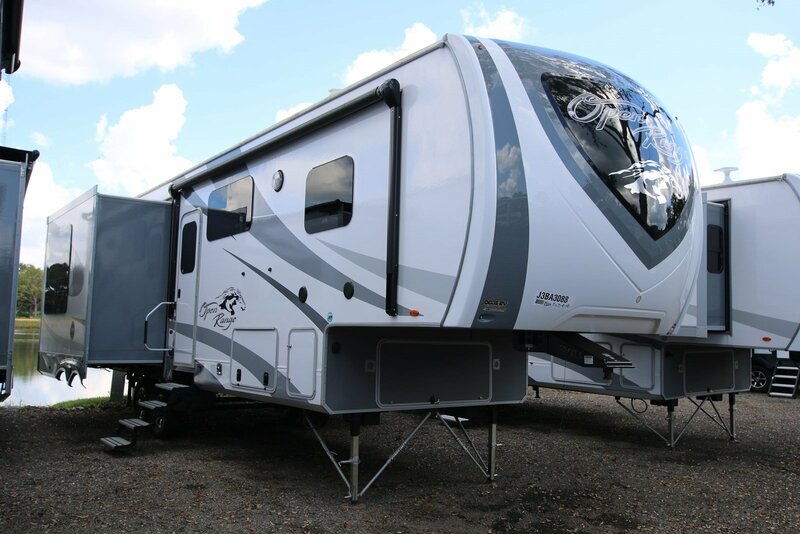 Why we recommend Jayco North Point fifth wheel: The heavier brother of the Eagle is the Jayco North Point which has an even higher sleeping capacity of 9 people in the North Point 377RLBH floorplan. The North Point 381DLQS floorplan brings the outdoor RVing lifestyle to a whole different level with a fantastic outdoor kitchen and a rear living area. 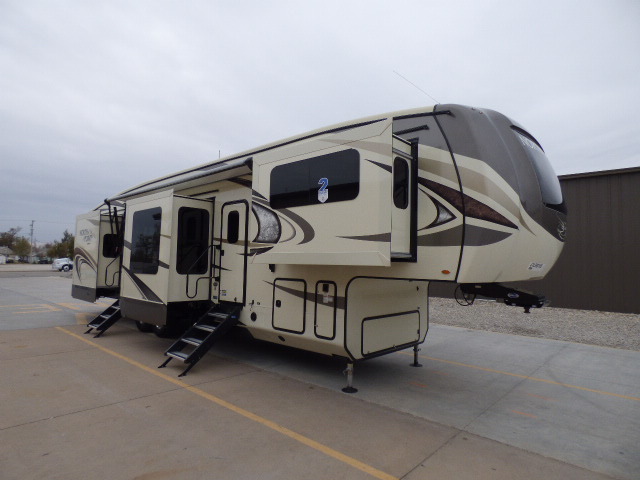 This floorplan sleeps 4, making it great for those who want an RV that’s as spacious as it gets. Even without its 5-star handling package, the mandatory luxury package of the North Point brings a host of features to the table, ranging from a 15,000 BTU AC in the bedroom to an indoor/outdoor central vacuum system. It also has some standalone options such as hide-a-bed, king size bed, dual pane all-weather windows, exterior grill and many more! Why we recommend the Keystone Avalanche fifth wheel: Keystone’s Avalanche Fifth Wheel, one of the most versatile fifth wheels we have ever seen, is a great addition to this list of tailgate fifth wheel campers. One look at the floorplans and it’s clear that they have a design for almost every case scenario you might possibly need. For tailgaters, we recommend the Avalanche 330GR and the Avalanche 331GR floorplan. 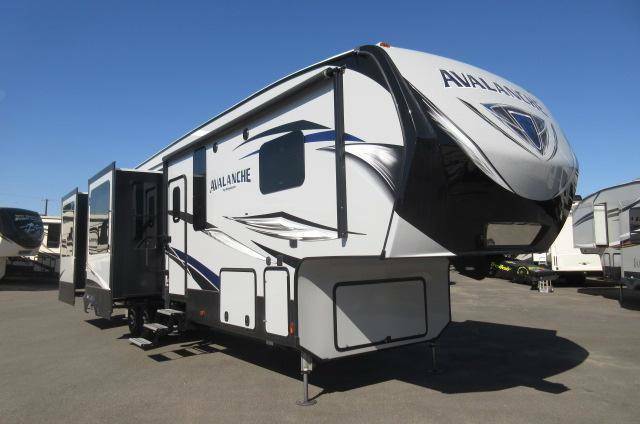 You’ve probably heard of every general feature of the Avalanche if you’ve been reading any of our earlier posts that feature this RV. It’s just as great for tailgators too, with the necessary features covered (power awning, outdoor kitchen floorplans, etc) and a slew of other additions such as an electric awning among others! 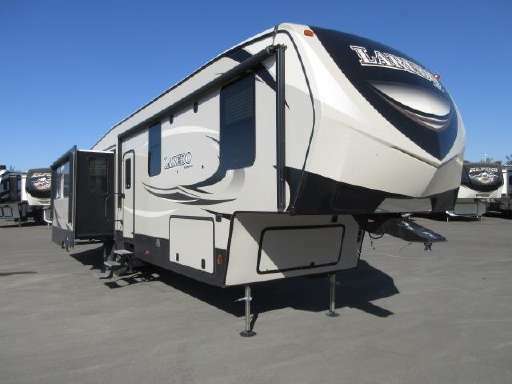 View All Keystone Laredo Fifth Wheel Floorplans! 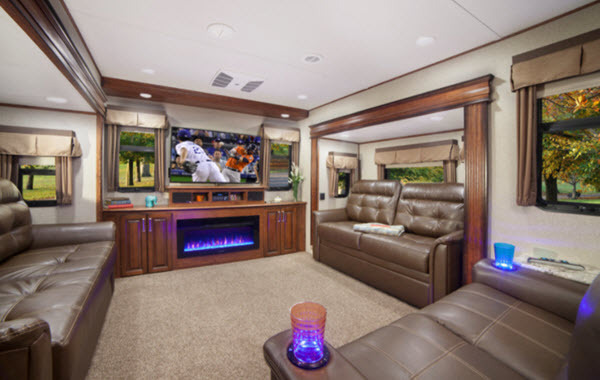 Why we recommend the Keystone Laredo fifth wheel: Popular for using ‘life-sized’ amenities over the toned-down ones, the Keystone Laredo serves as a popular choice among those who wish to tailgate but also prefer the luxuries a fifth wheel boasts of. 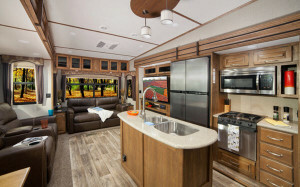 We recommend checking out the following floorplan: Laredo 325RL and Laredo 367BH. The Laredo is nothing if not feature-rich, which is evident once you see its feature list by clicking on the page below the RV images. From exterior marine grade speakers on the outside to systems monitor panel on the inside, it provides luxury and upgrades on a level that only a few RVs can match. Safety is also focused on the Laredo, with an entire list of the different detectors and measures to make your next tailgating trip a safe one! Share with us your favorite tailgate fifth wheel campers in the comments below!